Vernon Litigation Group and The Mauriello Law firm have filed a Financial Industry Regulatory Authority (FINRA) arbitration claim today in Southern California against FINRA member Charles Schwab & Co, Inc. (Schwab) on behalf of a young female Claimant. Vernon Litigation Group and The Mauriello Law firm have filed a Financial Industry Regulatory Authority (FINRA) arbitration claim today in Southern California against FINRA member Charles Schwab & Co, Inc. (Schwab) on behalf of a young female Claimant. The core of the claims are allegations of wrongful and retaliatorily termination of Claimant, a young, female employee, soon after reporting harassment by the branch manager to Human Resources. The Claim also alleges inappropriate comments made by the manager about the female advisor’s attire and her interactions with clients. Claimant was allegedly the only female Financial Consultant in her office and Schwab is alleged to have invented a pretextual disciplinary violation to report on the victim’s regulatory history (CRD). Prior to being terminated, Claimant appropriately notified Schwab management for employee relations and workplace practices about her concerns of being held different standards and being treated in a discriminatory way by her branch manager. Despite anti-harassment policy that states that Schwab forbids retaliation against any employee who has reported harassment or who has cooperated in the investigation of harassment complaints, Claimant was terminated soon after reporting her situation through the proper channels. The impact of Schwab’s alleged wrongdoing has been especially devastating in light of the fact that Claimant’s compensation was used to help Claimant support for her ill mother. “It is concerning to see this type of pattern continuing to occur in the brokerage industry”, said Vernon Litigation attorney Chris Vernon. Vernon believes that despite being very advanced in figuring out how to sell product to clients, many brokerage firms are stuck in the past when it comes to treatment of financial professionals and other employees. Vernon adds that culture in some financial firms lags significantly behind the policies and procedures in place at those firms. 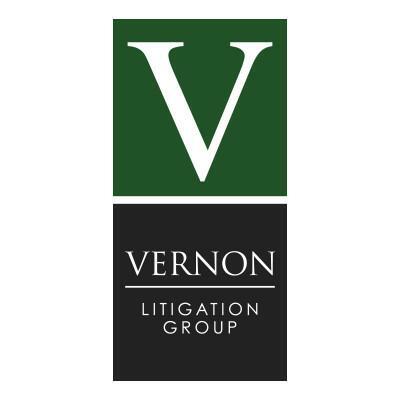 Vernon Litigation Group is a law firm based in Naples, Florida and Atlanta, Georgia that represents investors and advisors in disputes against Wall Street firms and other brokerage and financial firms throughout the United States in arbitrations, mediations, and litigation. Vernon Litigation has significant experience representing high producing financial professionals against brokerage firms and other employers in non-compete and non-solicitation disputes, forgivable loan collection actions, U-5 defamation actions, wrongful conduct by management in violation of state and federal law, and SEC whistleblower claims, as well as counsel successful financial advisors transitioning from one firm to another firm.